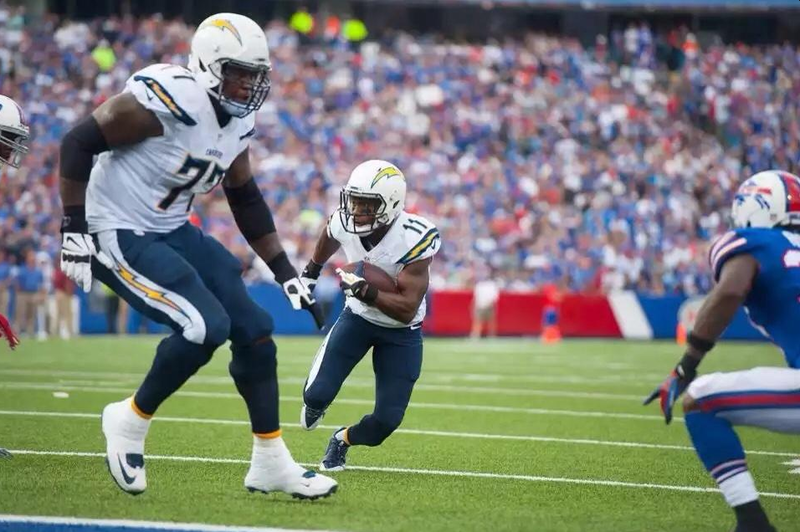 Last week’s viral photo of King Dunlap dwarfing Eddie Royal put his name on the map. Ricky Henne first tweeted out the photo taken by Chargers team photographer Mike Nowak. This week? Well, King Dunlap almost knocked a man’s head off. Even if you’re in the NFL, what’s going through your head when you decide to pick a fight with a dude listed at 6-foot-9, 330 pounds? Great win by the Chargers… look for a complete Vine recap later today. This entry was posted in Football and tagged Chargers, jaguars, king dunlap, king dunlap fight. Bookmark the permalink.